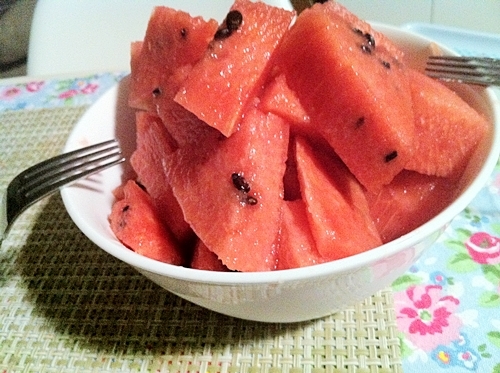 Seoul cafes: First watermelon of the year! 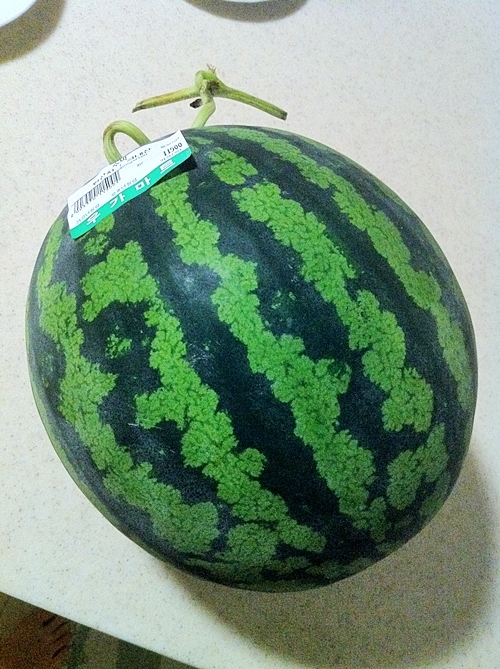 Watermelons - even in season right now are around 10,000won and up! Luckily, our grocery store had them for a good price and it looked so fresh! Looks were not deceiving this time! It must have been the tapping I did to check it - but I got lucky - this was has been the best tasting watermelon yet! 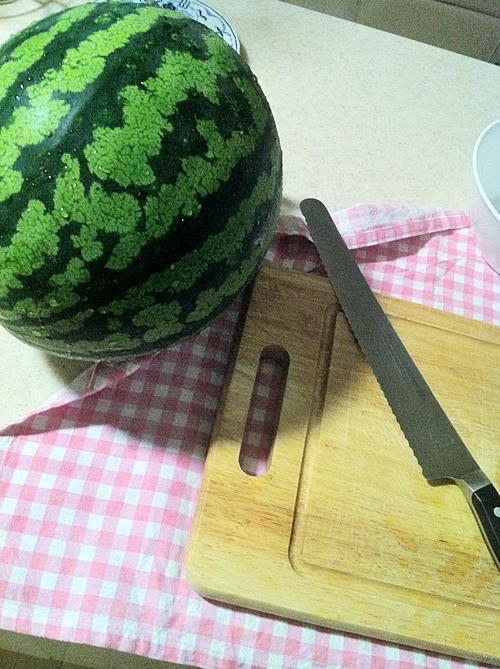 I've had some of the best tasting apples and strawberries in Korea. 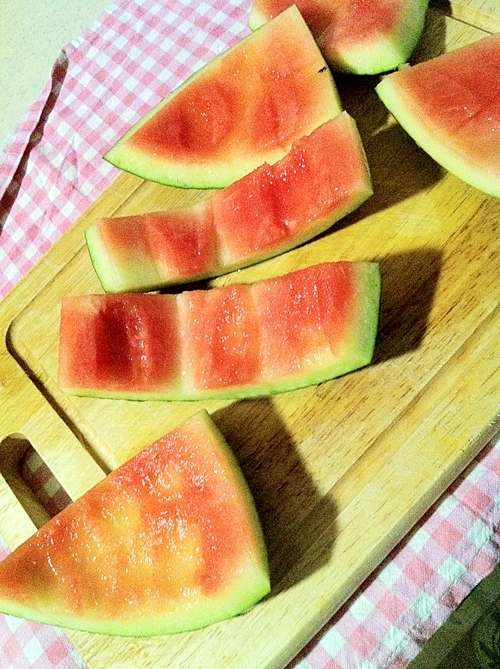 I haven't been much of a fan of watermelons - due to its price and size (and taste) - but it's the new outlook I have lately that's making me appreciate seasonal goods! 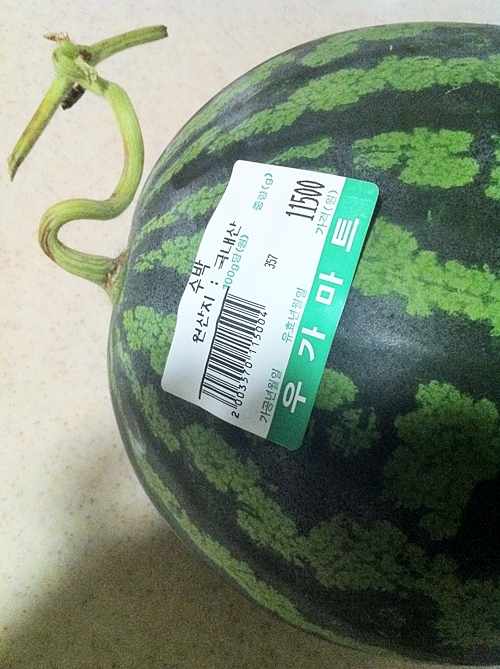 Fresh produce in Korea tastes much much better!